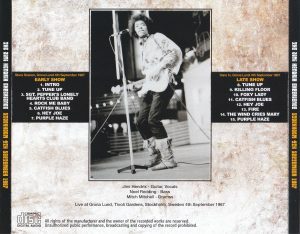 His live sound source release that began with the famous performance “MAUI 1970” of Jimi’s later years, this time is the appearance of an audience album that captures the 1967 stage that is the early stage of activity, which is the early stage of activity. 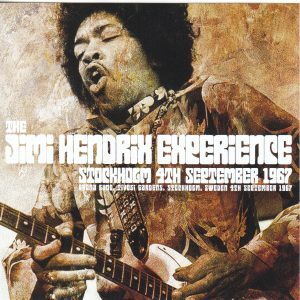 The year of 67 years in Jimi’s career was an important time when it was a success, but it has attracted great attention and the number of sound sources tends to increase as the year progresses. The European tour, which started from the end of August, has a number of sound sources that capture the Swedish stage. The most famous one of them seems to be the radio broadcast in Stockholm on September 5th, but the sound source on the same day on the 4th the previous day was also well known among mania from a long time ago. In addition, I have been on two stages this day, but there is an audience recording that captures both shows. It is a fact that is worthy of surprise, but it is even more so since both were recorded with surprisingly good sound quality for those days. As such, since both were captured with astonishingly high sound quality for those days, it is also a sound source from which items have been released since ancient times. This high-quality sound source is released on a limited press CD based on the latest version uploaded by the familiar Krw_co. However, neither sound source is a rare sound source among traders at all, and the sound source of the info “2nd Gen Reel” has been around for a while as well as this time. Both shows are versions copied twice from the master cassette to reel tape, but the deterioration of the sound source is minimized because the dubbing via the cassette has not been made, and the freshness seems to be like 1967. It’s an unbelievably vintage audience. Rather, the problem may not be the recording status of items that have been released in the past. Most of them were degraded sound quality versions based on the generational cassette, or were released with the pitch deviations that tend to be common to Jimi items being noticeable. In the case of him, the tuning of the guitar is lowered by half a pitch, and the pitch is easily lost. 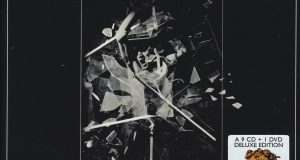 Furthermore, “Stora Scenen” has a problem with the recording status of the large book. 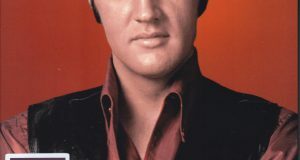 It is the left channel of the stereo is off periodically due to contact failure, for example, in the “Foxy Lady” interval was recorded until the trouble that the left channel is turned off after the noise of the poor connection is entered . So the past items have been released in the state of being made monolithic utilizing the undamaged right channel. Certainly there is no stress or stress to turn off, but as of 67 years the sound image with the widening of surprise has been admirably sacrificed. So this time, I dare to use CD in the original condition. 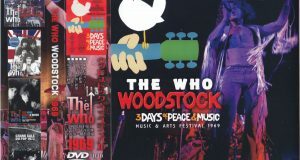 A revolutionary release where you can taste the stereo sound of a different dimension for the first time from items such as “SWDISH ADVENTURE” from RATLE SNAKE released in the past, or “LIVE AT THE DANS IN!” (Here only for the second show) from SCORPIO It became Certainly the problem of the left channel could not be dealt with, but even then the sound quality is amazing. And when it appeared on the net, the pitch that had dropped considerably was also perfectly adjusted, and it is also the release that recorded the sound source of the two stages on this day with the accurate pitch for the first time. As I mentioned at the beginning about the performance, the lively play is wonderful anyway. The greatness of Jimi’s guitar play can be clearly understood by comparing “Catfish Blues” played on either stage. Both are very intense play, yet the expression is completely different. His guitar bursts at each show, such as a first show that is pushed with a series of hammering, and a second show in which Jimi plays while holding down the wah pedal after Mitch’s drum solo ends. Moreover, the point of the audience recording that boasts the amazing high sound quality as 1967 is wonderful again. And Jimi who won the stardom in the United States from the appearance after the United Kingdom and Montare pop festival appearance, but it is still just before the break here in Stockholm. Therefore, unlike in the United States, the stage with the sensible audience in front of it would also be a sound source that also has an astonishing ease of hearing while being a vintage audience. The first show that Jimi’s guitar is coming in, the second show with amazing stereo sound, the real document of the Stockholm performance in 1967 recorded in the state of both best, the soundability is also easy to hear unique to the initial experience! ★ Fixed a pitch about 50% lower than semitones.